Old magazines are awesome. Frozen snapshots of singular points in history, within the context of the age in which they were published. Take for example this 1966 issue of the magazine Science & Mechanics (which would later become ‘Creative Computers’, ultimately absorbed by ‘Creative Computing’, which ceased publication the year I graduated high school). 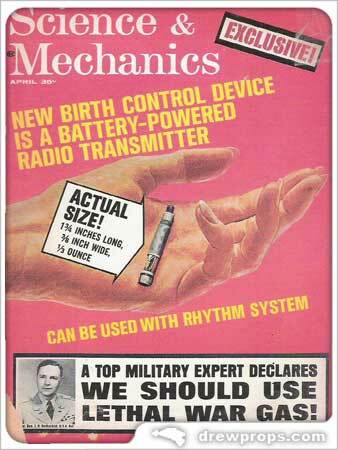 This issue provides a glimpse of the future of birth control using a battery-powered radio transmitter and a strongly argued case by Brigadier General J. H. Rothschild for the use of gas warfare in the ongoing Vietnam War.